Happy Easter! It’s time again for Nail Polish Sunday. 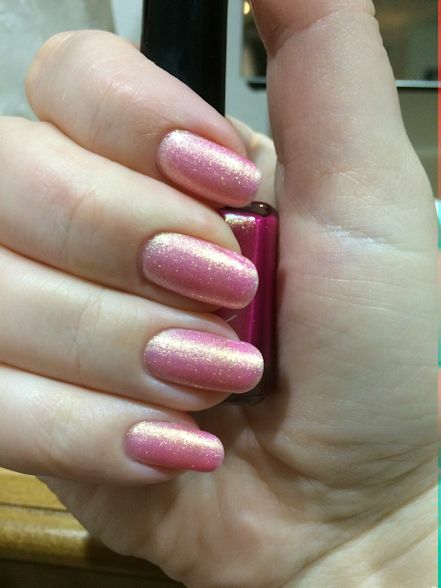 Today’s polish is another gem I found through Live, Love, Polish. Their site is becoming an obsession for me. Seriously–I’ve bought 10 bottles from them since January. After the most recent shipment, I remembered to exercise restraint and took pictures before shredding through the packaging like the Tasmanian devil. Here’s the cozy little treasure chest the gems arrive in. It even came with a nice, handwritten thank you note. No, Live, Love, Polish–thank you. These are the lovelies that awaited inside the boxes. I’ll be showing the others in later posts, but for today I’ll be focusing on the pink shade on the left. Apply two coats of polish as normal, and voila, the easiest french manicure ever (at room temperature at least). 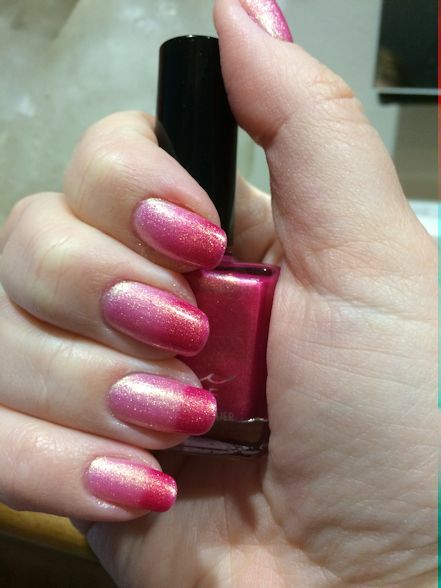 I’ve tried other color-changing polishes in the past, but never got the kind of distinct shades that you see here. 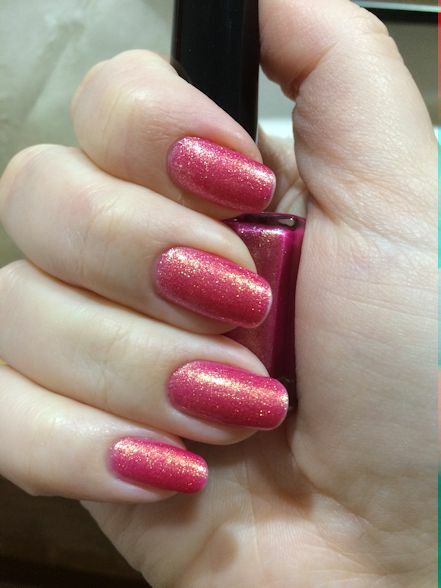 Unfortunately, Love Potion has already sold out, but Femme Fatale makes other color changes too. Now I must be off. I have an urgent meeting with a chocolate bunny. Next postLook What I Found at the Library! Until recently we had a shop near my office that sold things, everything really, that changed color in the sun. The nail polish was awesome because it had distinctly different shades… Silver to red. Great find!